Yitzhak Buxbaum’s Jewish Tales of Mystic Joy is mainly a collection of Chasidic tales from the early days of the movement, and, in a few cases, from the author’s direct experiences. I’m struck by the use of alcohol by the early Chasidim to induce joyfulness and nearness to God. This isn’t Purim drinking mind you, but a few shots of slivovitz on a Thursday afternoon to get closer to Hashem! This is definitely not a part of modern Chasidic experience. In a few stories, if the strictures of Sabbath observance impede a sense of joy, they can be discarded (but in very serious circumstances). Again, not a modern Chasidic take on the Sabbath. The early Chasidim were enjoined to always be joyful. Everything comes from God (and in a sense, all is God) so how can anything bad really happen? It is a good point, and given the premise, logical. Of course, most of us do not experience this; we are buffed about by our own emotions, and slaves to external stimuli that engender feelings of all sorts. The early Chasidim shifted their states of consciousness to one that is more God-centered. For us, who live in a more secular and cynical age, this is a difficult program - but not wholly impossible. Rebel Yell: The Violence, Passion, and Redemption of Stonewall Jackson by S. C. Gwynne is certainly an interesting read, as Stonewall Jackson is one of the more colorful characters in American history. The author does an admirable job exploring his complexities. 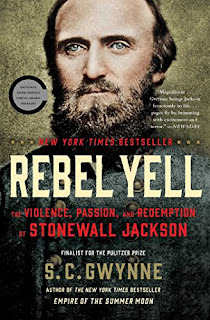 I am not sure where the redemption in the subtitle fits in, as Jackson fought on the morally wrong side of the Civil War, believing that it was God’s will. As it turns out, it was not God’s will that the south should win and retrain slavery as its cornerstone institution. Livia Bitton-Jackson’s Saving What Remains: A Holocaust Survivor's Journey Home to Reclaim Her Ancestry chronicles the author’s efforts to exhume her maternal grandparent’s bones from a small town in Slovakia during the cold war. Readers are treated to a compelling story as Bitton-Jackon's and her husband maneuver through the byzantine, legalistic (and corrupt) Czechoslovakian bureaucracy to obtain approval to exhume and ship the remains. There is not a Chevra Kadisha, a Jewish burial society, nearby, so the author and her husband must exhume the remains themselves. This scene is written with pathos and strain. Eventually, the remains are re-interred in Jerusalem. Bitton-Jackson, a teen during the holocaust, is definitely a product of two worlds. She speaks Hungarian, German, Slovak, English and Hebrew. 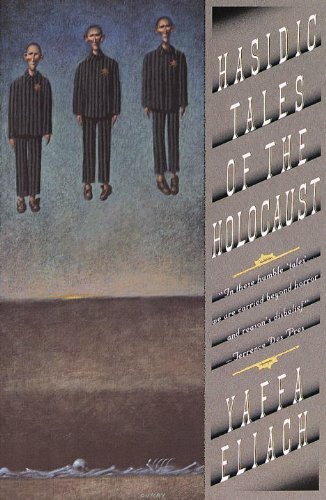 This is an excellent book exposing a fault line in Jewish history at a living moment in the events of one family – at a gap where two worlds meet. 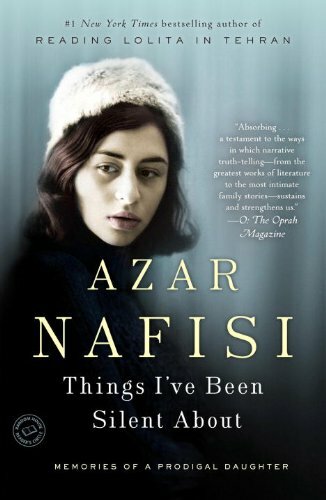 Things I've Been Silent About by Azar Nafisi is certainly a solidly written, detailed account of Nafisi’s life. She and her family are deeply involved in the twentieth century history of Iran. As such, life, culture, religion, and politics are in no way separable in this account. Nafisi does seem to collude with her own doom. It is obvious that her mother was an incredibly destructive force in her life, but she makes no meaningful steps to distance herself from her (until the very end). In a wider sense, reading this account paints Iran in a totally negative life. One wonders, when reading this, if there are any benefits from being in Iran or Iranian at all? Nafisi covers a great deal of ground, most of it unhappy. 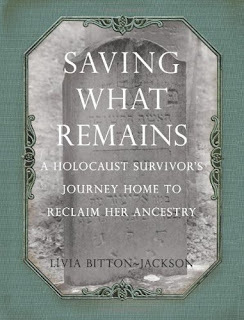 Livia Bitton-Jackson was saved at least twice from the Nazi death machine by her blue eyes and blonde hair. 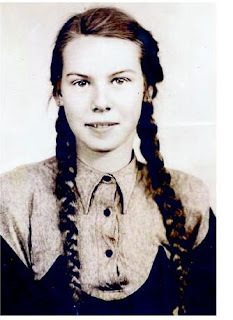 On the train ramp at Auschwitz, Mengele, may his name be blotted, noticed her long blond braids and blue eyes. He asked her if she was Jewish. She said yes. He asked how old she was, and she answered 14. He told her she is now 16 (the cut of age for work rather than immediate death), and allows her and her mother to move to the right. Another time, women are sorted at a munitions plant. The manager examines their hair and eye color. Women with blond hair and blue eyes, like Bitton-Jackson, are given an easier assignment that are more intellectual challenging. Darker woman are given more difficult jobs. And so it goes in the Nazi Empire: absurd rubrics and nonsense become the stuff of life and death. Like many Holocaust memoirs, Bitton-Jackon’s Elli makes us wonder how any person could survive such ordeals. Well ,many, most, did not. And that was the point. The Holocaust's awful calculus was that it was far more likely to die than to live. Homesick for Another World: Stories by Ottessa Moshfegh is a surprisingly interesting and engaging collection of stories. 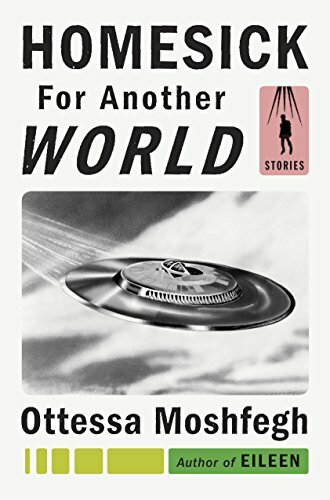 Moshfegh has an odd sense of the world, the timing of life’s events, and this is reflected in the stories. There is a continuous off-kilter sense of sexuality (characters are fascinated at putting fingers in people’s mouths), work, play, intellect and maturity. Her character’s struggle with the sense that they should have more and be better. Yet they lack the tools to surmount their strange realities. Except for the last two stories, written in a different, nearly fantasy style (and less successful) this odd and perverse collection is well worth reading. The author works with a unifying themes, and delightfully exploits them. Hasidic Tales of the Holocaust by Yaffa Eliach is a unique collection of stories about the Shoah. 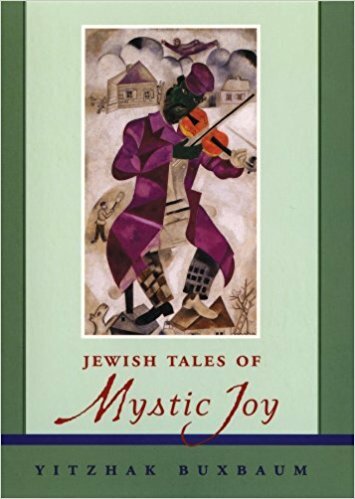 Hasidic tales are essentially modern in tone. The Almighty does not intervene in the lives of the characters through direct action, but behind the scenes, in the social or natural world. Often, a character is saved from a word or deed that happens, seemingly, by accident. Yet there are no accidents. Everything is guided from the hand of HaShem. Including, it seems, in the ghetto and camps of World War II. These stories may strain credulity for some, but that is the point. If G-d works through everything, than meaning can even be found in the most dehumanizing and cruel of places.